After the close call with Cyclone Narelle, we got a lot of calls asking about cyclonic sheds. There’s nothing like the possibility of disaster to help us remember that we have assets to protect, including ourselves. Although we’ve been really lucky in the Perth area, the weather seems to be more extreme in this era, and you never know when the next cyclone could batter Perth with heavy rains and cyclonic winds. Since 1960, there have been five instances of cyclones coming close enough to Perth or the Southern Coast to subject us to typical cyclonic weather. On 27th March, 1960, winds of up to 113 km/h were recorded in Perth, with a number of small boats being blown ashore. In addition, many towns in the Wheatbelt had winds sufficient to cause damage to wheat silos, homestead roofs, and outbuildings. On 20th March, 1975, Vida brought winds of 109 km/h to Perth, and 128 km/h to Fremantle. Perry Lakes Stadium and St George’s Cathedral were among properties that were damaged in the storm. At Rockingham, numerous boats were destroyed, including a 6m cabin cruiser and a 7m yacht. In April, 1978, Alby killed five people while passing close to Cape Leeuwin. Wind speeds were estimated at gale force, causing widespread damage, especially in the region between Albany and Mandurah. Severe dust storms and widespread fires caused visibility to decrease to as little as 100 m in much of the region. On February, 1986, the remains of Rhonda entered Western Australia near Perth, bringing heavy rains and flooding. Greenmount received 131 mm of rain, and over 100 traffic accidents occurred due to windy and rainy conditions. On April 1st, 1989, Ned landed near Rockingham, bringing wind gusts of 100 km or greater, between 6am and 7am. Luckily, damages were minor. Western Australia is also subject to severe, non-cyclonic storms, such as the storm of 1994, which caused over 9000 people to call the State Emergency Service for assistance, and the storm on 23rd March of this year, which generated over 2000 calls for assistance. After the recent storm, the Insurance Council of Australia went so far as to declare Perth an “insurance catastrophe.” We’re not sure exactly what that means, but we’re guessing that it involves a lot of property damage claims. At Action Sheds Australia, we carry and build a full line of cyclonic rated sheds. They are certified for winds of up to 316 km/h, which would be the worst recorded cyclone in Perth history. We carry cyclonic sheds for every imaginable use. We can build office and warehouse space, and we can even class them to give your office a quality, state-of-the-art appearance. We also build a cyclonic mine site building, and we have domestic sheds that are cyclonic rated. 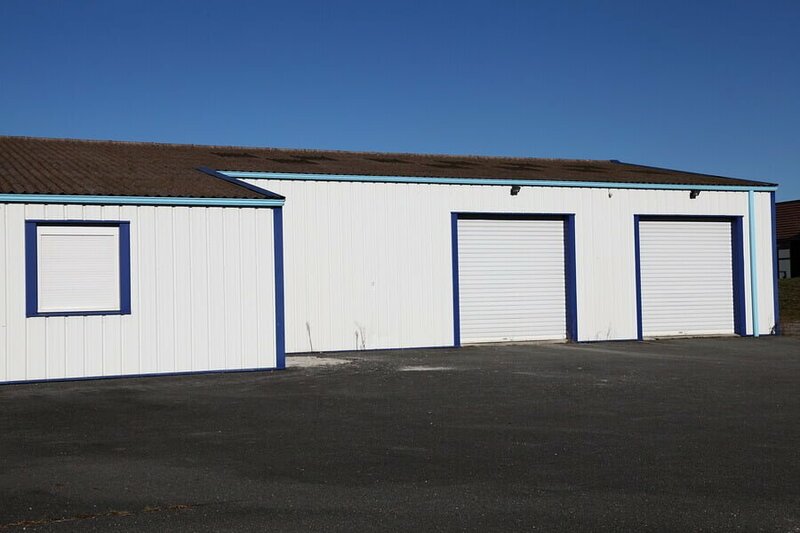 Our office and warehouse space cyclonic sheds represent one of the best bargains in the building industry. They will withstand winds as well as brick buildings, but they are far less expensive, far more versatile, and take a lot less time to build. 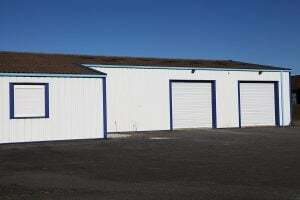 Our customers are usually very pleasantly surprised at the quality of our industrial sheds. One of the most common comments we get is that they never would have guessed it was a shed if they hadn’t expressly ordered one from us. That is because, by the time we are finished, your shed won’t really look like a shed, on the inside or the outside. The quality of workmanship is so good that your shed will look like a standard office building, and it withstands cyclonic winds. We can also build a cyclonic rated mine site building, which includes outside awning and internal walls. We can fit them with windows and doors to match your requirements, and can design them with high bays. For our residential customers, we have domestic sheds and garages that are also designed to withstand cyclonic winds. These not only protect your belongings, but are very stable. This is important, because an inferior shed can become a very large and deadly projectile in a cyclone, or even a bad storm. Not only are our sheds cyclonic rated, but they are also ShedSafe rated. ShedSafe accreditation ensures that your shed is of the highest quality, and that our entire staff has undergone rigorous training which qualifies them to recommend the safest shed for your needs. If you are looking for a new office building or warehouse, or would like to add more working space to your freestanding office or warehouse, call 1300 778 628 today, for a competitive quote. Action Sheds Australia can provide a safe building at a great price to suit your needs.